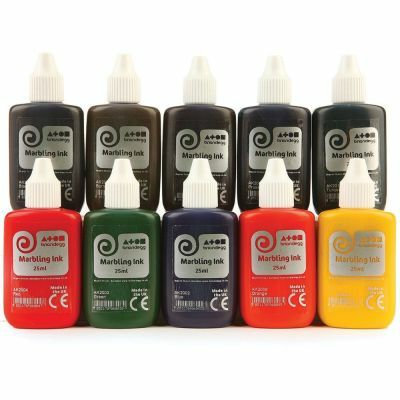 Add unique colour to your arts and crafts using this marbling ink. 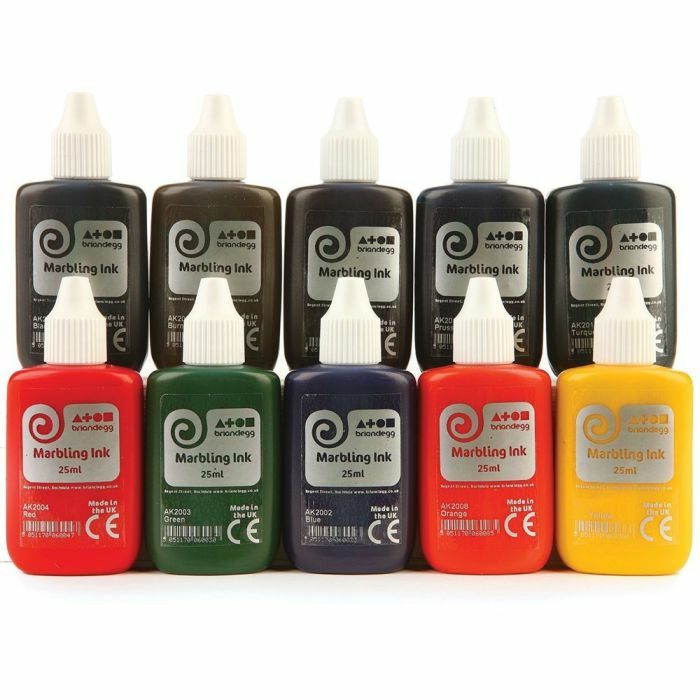 Use on a variety of surfaces including paper and card with the easy to use nozzle ensuring there’s no mess or fuss! Suitable for younger years making this an ideal classroom accessory. Available in sets of 10 x 25ml bottles.